Can’t decide which premium paper is the best fit for you? Our enhanced Press Papers & Cards Sample Kit can help. Each kit has samples of our colored envelopes, greeting cards, papers & finishes. We also added swatches of our exclusive extra thick ColorTHICK and LOFT Paper. Buy a kit and you'll qualify for a special promo code for $15 off your next card order. 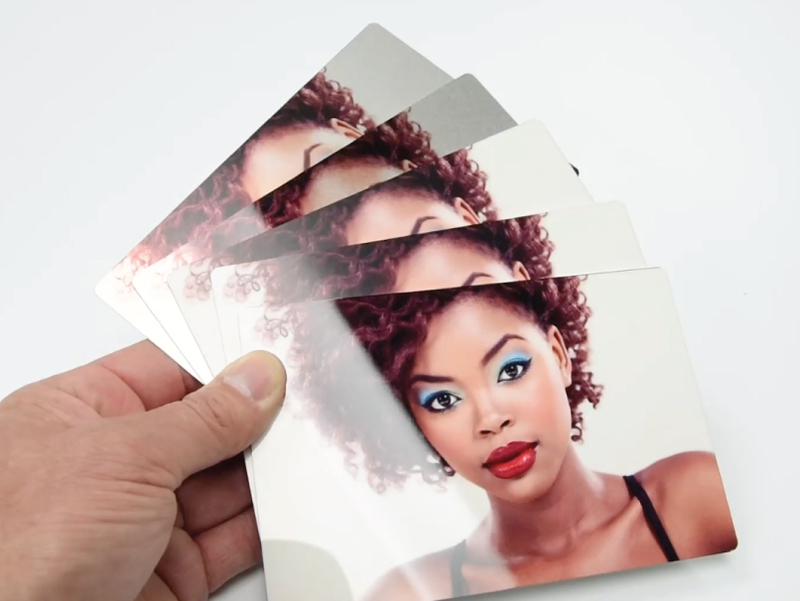 In our Metal Print Sample Kit, includes a 5-print pack at a discounted price in each of our surfaces: High Gloss, Mid-Gloss, Satin, Sheer - Glossy & Sheer - Matte. Mounting and corner options can be selected individually for each print. It is a great way to see first hand the unique qualities of these brilliant prints. Book & Box Swatch Kits are a great resource for choosing your favorite book or box cover color or material type. Receive a swatch ring with samples of all 19 materials, as well as samples of our photographic and press printed paper types. Each kit contains examples of our Mosaic Deluxe and Exotic covers, as well as Tuscany Leatherette and Leather covers (Tuscany Premium Leather swatches may not available). We also include samples of our photographic and press papers with a variety of finishes. Our Sports Sample kit helps you choose which items to offer individuals and teams. The kit is filled with our most popular products and a $15 coupon toward your next sports order.